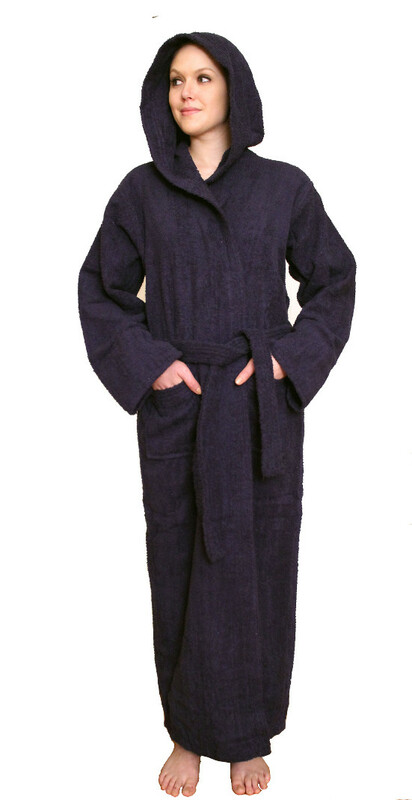 Made from very fine yarn in medium weight terry cloth. 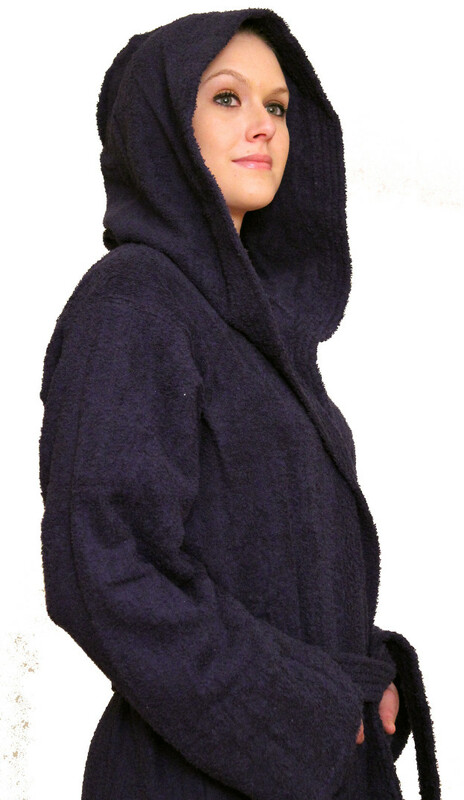 The hooded robe is roomy with long sleeves and mid calf length. The fabric weight is approximately 380 GSM which translates to about 10 oz terry. Currently available in size Regular (for L/XL). Other sizes, S/M and Plus will be available in late October. 25% off on most of our terry cloth items. For applicable product codes please see below.